The high antioxidant properties of the fruit’s oil and seed extract has started getting a great deal of attention. The seed of the Grape, especially in the red species, is very rich in polyphenols. The synergistic action of Red Vine polyphenols and natural vitamin E, protects hair against damage induced by sea water and UV-radiation. Moreover, this combination’s water soluble antioxidants create a strong antioxidant-complex, stable in water. Shake well before use. 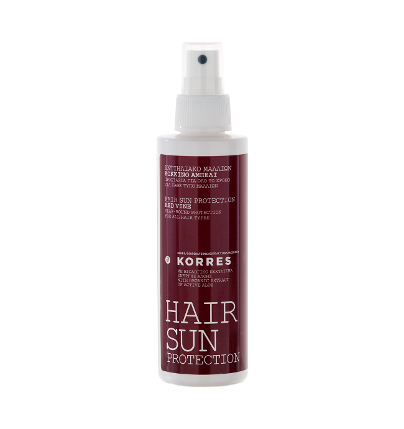 Spray on dry or wet hair and style as usual without rinsing. Suitable for every day use.